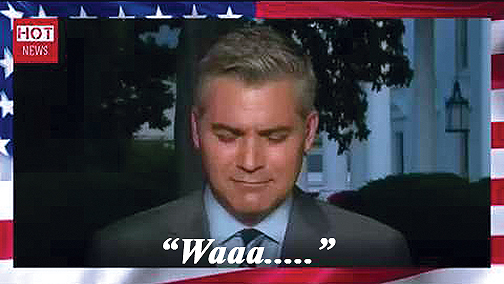 During Wednesday's White House press briefing, Tom Homan - Acting Director of Immigration and Customs Enforcement (ICE) and U.S. Attorney John Huber were brought in to discuss two upcoming pieces of immigration legislation - only to face CNN's anchor-socked White House correspondent, Jim Acosta. Director Homan made the point that out of the 66,000 illegals arrested since Trump's executive orders on immigration enforcement were signed, "73 percent of everyone we have arrested were criminals." Homan also noted ICE's emphasis on "breaking up gangs and transnational smuggling organizations" and deporting bad hombres. 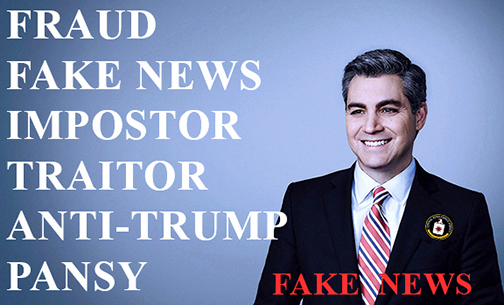 CNN's Jim Acosta completely re-framed Homan's message - accusing the Director of "making it sound as if undocumented immigrants commit more crimes than people who are just native-born Americans" - a comment prepared long before the press briefing as evidenced by Acosta rattling off some Cato Institute study to support his point. DIRECTOR HOMAN: "I think you're misinterpreting what I’m saying... Number one, people that enter this country illegally violate the laws of this country. 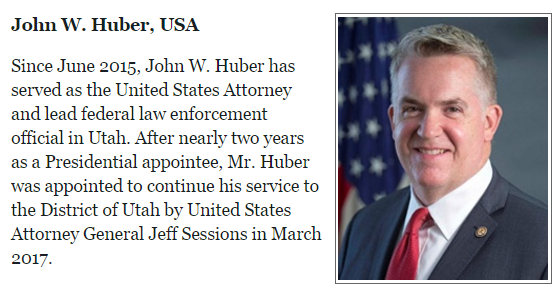 You can't want to be a part of this great nation and not respect its laws" adding that once an illegal alien has been given due process, "that final order from a federal judge needs to mean something or this whole system has no integrity." Later adding: "Did I say aliens commit more crimes than U.S. citizens? I didn't say that." 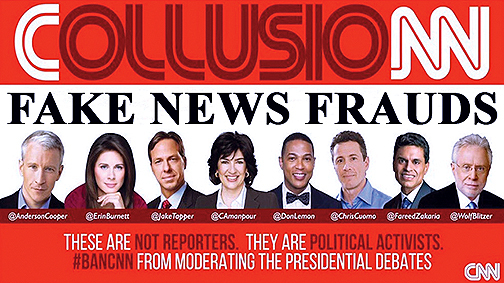 Homan then went on to tell Acosta that illegal immigrants should not be comfortable - stating "if you enter this country illegally, you should be concerned that someone is looking for you." 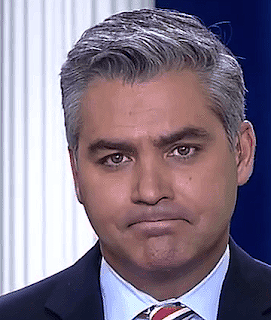 Acosta then hit Homan with a hypothetical tear jerker about separating an illegal immigrant mother from her DREAMer children - calling the Trump administration's adherence to the law "cold and clinical." Homan responded: "U.S. Citizen's families get separated every day when a parent gets arrested for a criminal charge. 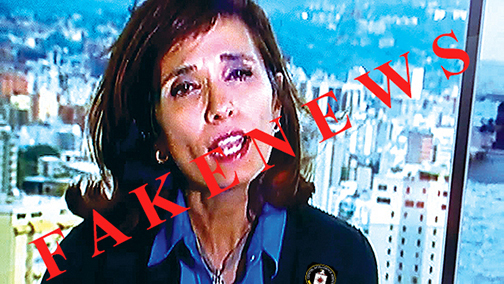 ...when someone chooses to enter this country illegally, and they're here illegally, and they choose to have a child that's a U.S. Citizen - they put themselves in that position. 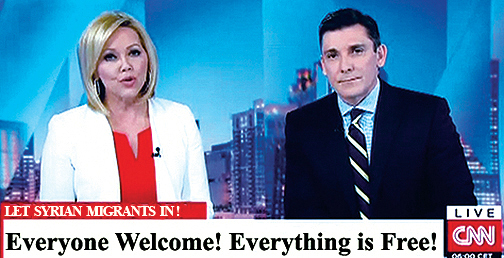 Illegal aliens themselves: CNN fake news frauds Church and Vause both broadcast treason from Atlanta and LA, shill for fellow illegals in U.S. If we don't have border security. If we don't enforce the laws that's written in the books, then you're never going to control the border. Why do you think we've got 11 - 12 million [illegal] people in this country now?" CNN's Acosta tried to go in for the kill, whimpering "So you should arrest the mothers, go after the mothers?" only to be out-SJW'd by another journalist who cut in - asking "if you are an undocumented immigrant in this country right now listening to you that you should be fearful, that you should be concerned, you should be looking over your shoulder that ICE is looking for you?" - A reference to a statement Homan made to congress two weeks ago when he said illegals "should be uncomfortable, should look over your shoulder, and you need to be worried." 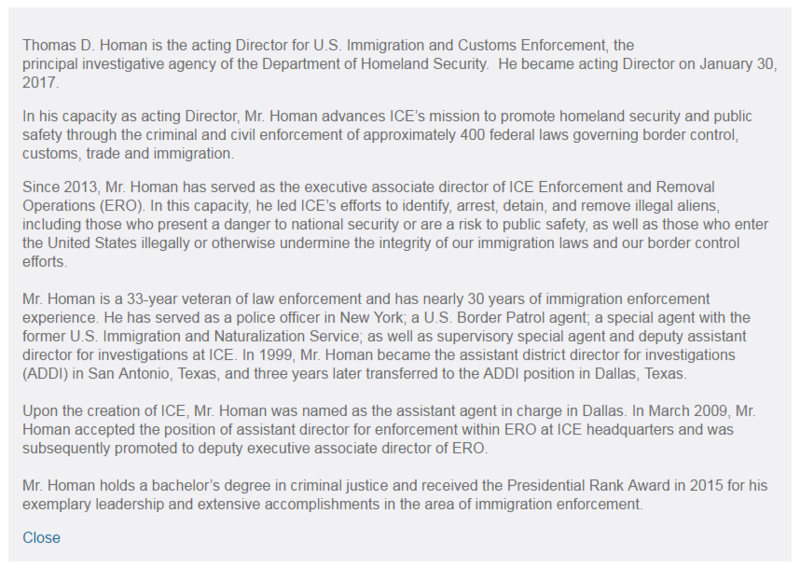 Homan told the journalists that they were "losing the message," and went on to explain "ICE prioritizes our enforcement efforts on national security threats, public safety threats, those who have been ordered removed by a judge and failed to depart, and those who have been ordered removed, were removed, and reentered the country"
Adding the caveat "However, what I’m saying, during the course of those operations if we find someone here illegally, we're not going to turn the other way."